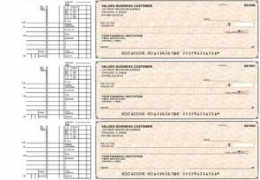 These Manual Multi Purpose Business Checks are 3 to a page and designed to fit in our 7 ring binders. 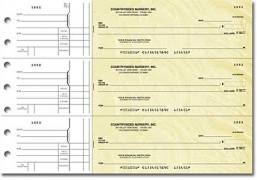 Our general purpose manual checks are designed for payroll, to accounts payable, or general use! 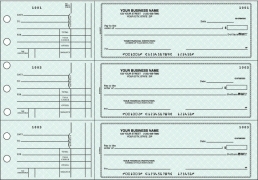 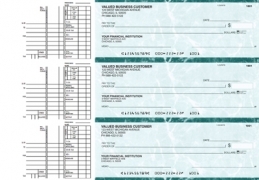 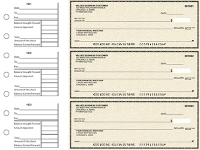 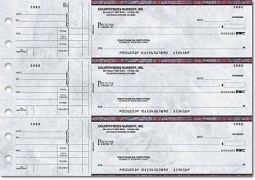 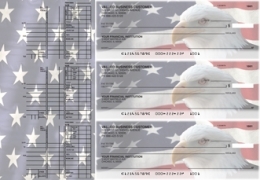 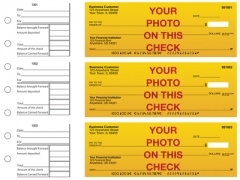 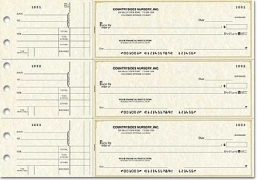 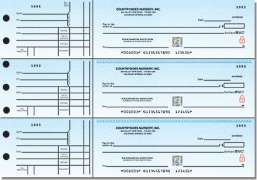 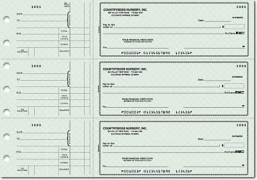 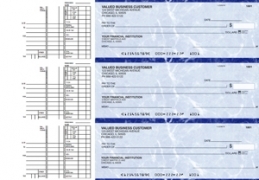 Customize your checks with a company logo.Or you can get creative and use a custom photo check that represents your company. 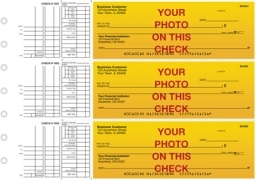 Use colorful images with your logo and your check becomes a bill board for your business. 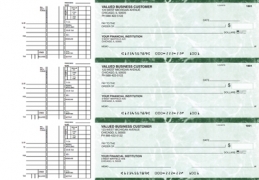 Online ordering has become the cheapest way to order business checks. 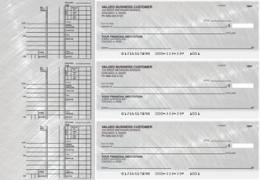 Not only do you get exactly what you want as far as style, color and logo design but you also have prompt delivery service. 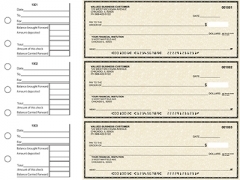 Ordering checks online is cheaper than ordering at your bank and as you can see, you have a lot of different options that you don't have at your bank. 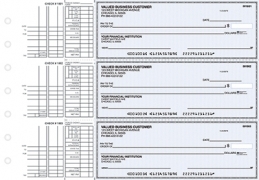 Our multi-purpose checks are up to 70% off regular bank prices so be sure to order today and get the supplies you need for your business.